Port of San Diego Commissioner Rafael Castellanos Monday proposed the creation of a county office to enforce fair labor laws and standards and strengthen the local economy. 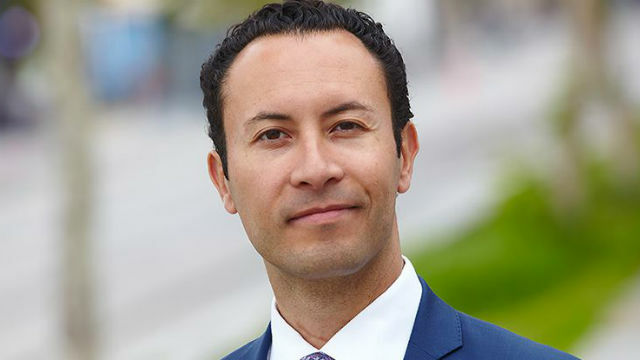 Castellanos, who is running for a seat on the San Diego County Board of Supervisors, said he modeled his proposal for an Office of Fair Labor Standards on similar departments in Santa Clara, Los Angeles and San Francisco counties. The office would partner with state labor officials to improve local enforcement of wage theft laws, increase workers’ rights training for workers and their employers, and help local organizations report labor law violations to the district attorney’s office, he said. The Office of Fair Labor Standards would refrain from asking workers for their immigration status or reporting it to local law enforcement, according to Castellanos. According to the Center on Policy Initiatives, San Diego County’s employers commit roughly 40,000 minimum wage law violations every year. In addition, employees win back pay in only 30 percent of local wage theft cases. Castellanos is seeking the District 1 seat that includes the southern San Diego County cities of Imperial Beach, Coronado, Chula Vista and National City. He has received endorsements from multiple labor unions and elected officials around the county, including Imperial Beach Mayor Serge Dedina, Lemon Grove Mayor Racquel Vasquez and San Diego’s longshore workers’ union.